Parents sought to relinquish their baby for adoption but then changed their minds. Children Lawyer, Baljit Bains, identifies a thought provoking case about adoptions where the birth parents originally relinquished their child, then sought to change their minds. In the case of Re RA (Baby Relinquished for Adoption: Final Hearing)  EWFC 47, the parents gave their consent to adoption and the baby was placed with prospective adopters from birth. When the baby was 14 months old they applied for an adoption order. The maternal grandmother in Latvia had learnt of the existence of the baby and sought to be assessed. Her assessment was positive and she accordingly sought leave which was opposed to by the Local Authority. She sought to apply for a child arrangements order and, if granted, she sought to remove the child from the jurisdiction to reside with her. Leave was granted to make the applications. The birth parents then gave notice that they had changed their minds and now sought to oppose the adoption application. The mother asserted that her circumstances had changed. The Local Authority continued to support the prospective adopters and the Children’s Guardian also supported the application. Ultimately, the Court made an adoption order in favour of the prospective adopters on the basis that the parents were unable to demonstrate a change of circumstances and that what had actually happened was a change of heart. In any event the Court felt that it would not be in the child’s best interest. The Court felt that the consideration of the child being raised within the family would be significantly outweighed by the damage to the child’s emotional wellbeing by being uprooted from the only parents he knew and he enjoyed a profound and secure attachment to them. The risk of disruption to the child’s secure attachments, if that course was not followed, could not be in his best interests. 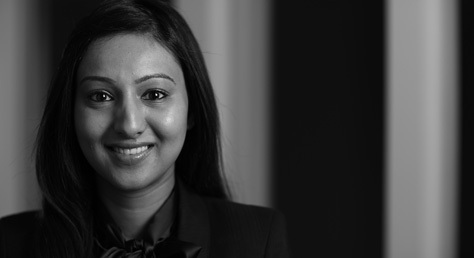 If you require advice or assistance with an adoption matter, or are involved in care proceedings and would like us to represent you, please contact Baljit on b.bains@wilsonllp.co.uk or to arrange an appointment, Mavis on 020 8885 7986.